The new Ferrari 488 Spider comes with a 3902cc turbo-charged V8 engine with a total power output of 660HP and a maximum torque of 760 Nm, which is mated to a eight-speed twin-clutch paddle-shift gearbox with Variable Torque Management. Ferrari revealed the new 488 Spider on Wednesday, which promises extreme performance and exhilarating drop-top driving pleasure. The new addition to the Ferrari clan will be launched sometime next year, reports say. The new Ferrari 488 Spider goes from 0 to 100 km/h in 3 seconds and from 0 to 200 km/hr in 8.7, with a top speed of 327km/hr. The turbo V8 has a unique character too, delivering increasing levels of power right across the rev range, and completely eliminating the traditional turbo lag with a throttle response time of just 0.8 seconds. The Ferrari 488 Spider is also the most aerodynamically efficient spider in the Ferrari history. The Ferrari engineers managed to achieve optimal down-force and reduced drag - simultaneously by introducing innovative devices including a blown spoiler and an aerodynamic under-body incorporating vortex generators. The electronic systems are fully integrated with the SSC2 Side Slip Angle Control System, resulting in 12 per cent faster acceleration out of corners than the 458 Spider. 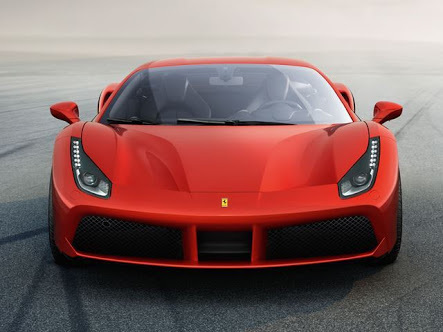 However, the prices for the new Ferrari 488 Spider will be confirmed only at the Frankfurt Motor Show in September, but reports say that it will be available in the International market for a price of Rs 2.04 crore.